Since Brandon had no class on Tuesday, February 14th (Valentine's Day), his preschool class celebrated and had a Valentine's party on Monday, February 13th. Lots of treats for the kids. This was Brandon's first Valentine's celebration at school. 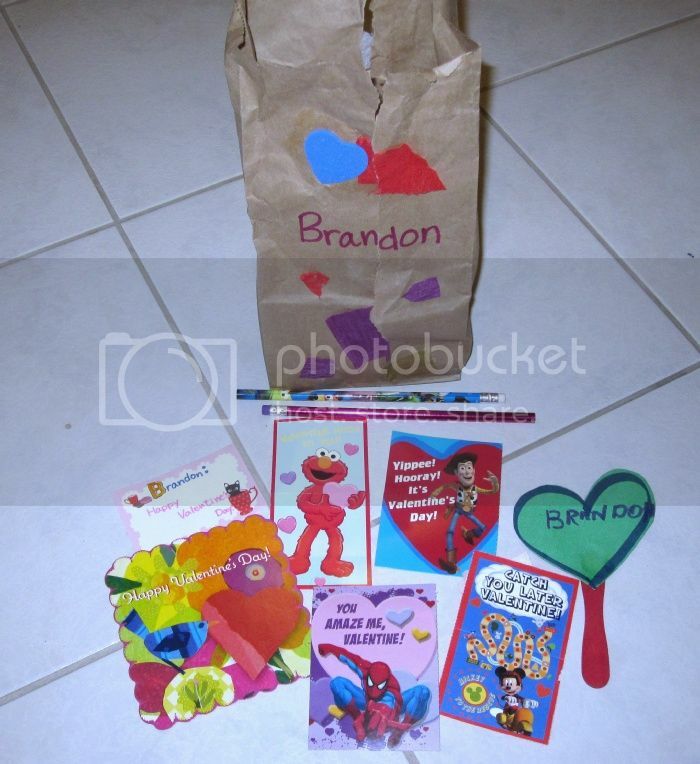 Here are just some of the Valentine Cards that Brandon got from his classmates and teachers.